The applications are invited for different 1767 Posts in different departments Under the Group C recruitments 2017. 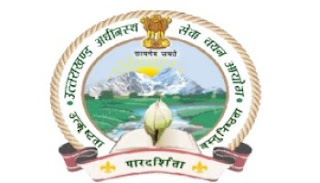 Candidates can also visit the official website of the SSSC Uttarakhand there you will get the information about all the vacancies and other details. Here we are providing you the complete links of the application forms details and vacancies details, so you can also directly download your entire requirement of application details from here. The application dates are got updated and check the given details for online application registration dates and other. Other all the details of vacancies will remains same as per the 3rd January 2017 advertisement. So friends, you can check the dates of application submission here also for cross checking you can visit the official website of the SSSC Uttarakhand. And download the correction document or advertisement from given link. Click here for all the Vacancies details and other. Stay connected with us for more updates about Uttarakhand News, Recruitments in Uttarakhand, Jobs, Examination and Results. You can also subscribe us to get our all the latest updates on your email inbox.